​The Henna Friendship Circle is a relaxing session where you can learn henna techniques to create beautiful body-art. With great respect to the ancient art, we use natural henna made with ingredients from a sustainable, family-owned farm in India. 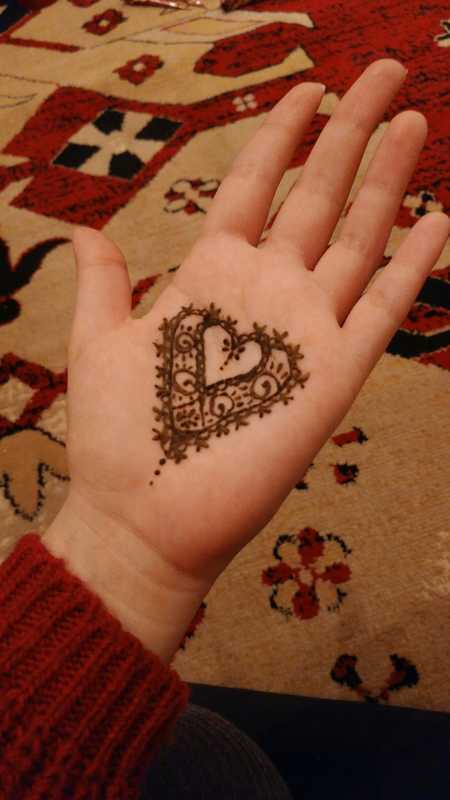 Participants agree that henna is relaxing as it helps them de-stress, especially in the middle of a busy week. At the circle you will be part of a small group, sharing creative ideas, having good conversation, and having a memento of the evening on your skin for the next few days. No experience or materials are necessary – if you are not sure how to do henna or need an idea of what to draw, we are there to help! See the calendar for the schedule and contact us via Facebook with any questions.